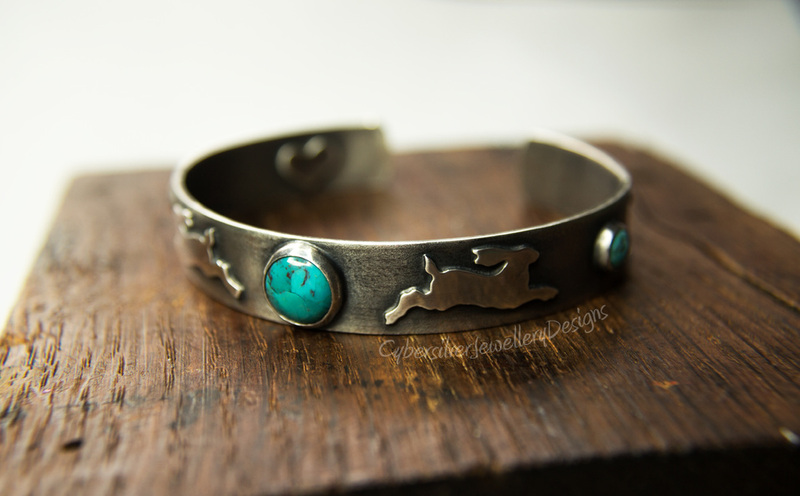 ﻿﻿A darker, textured version of my unique hare cuff design. This stunning oval cuff is constructed from thick, lightly textured sterling silver. 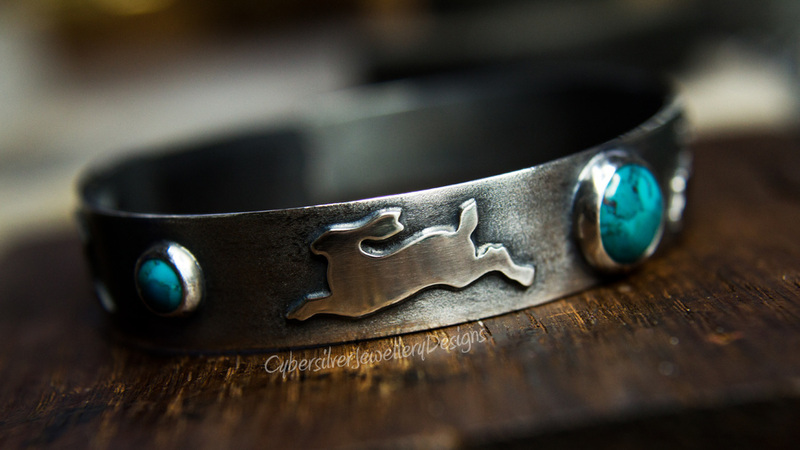 It features four meticulously hand cut leaping hares individually soldered onto the cuff and three genuine turquoise gemstones. The silver has been oxidised and then brushed to give a lovely contrast. I have then waxed the cuff with a special microcrystalline wax to help protect the oxidised surface. To calculate your cuff length, measure your wrist and then add on 1/2 to 1" depending on whether you prefer a tighter or looser fit. This will be the total length for your cuff, including the opening. Delivery - To ensure you receive your cuff safely and securely, I post Special Delivery. Royal Mail will not insure jewellery sent any other way. This is a next-day, tracked, insured and signed-for service. International orders are sent International Tracked and Signed For. I will send you your unique tracking number as soon as I have posted.